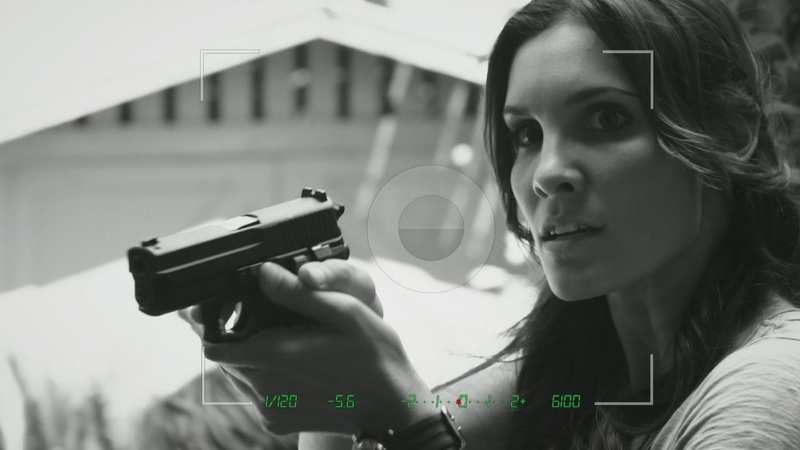 Artemis Women in Action Film Festival is proud to honor Daniela Ruah with the Artemis Action Warrior. Best known for her role of the tough Special Agent Kensi Blye on the long running series NCIS LA, US born Ms.. Ruah’s career actually began in Portugal when she was a teenager. She racked up over 700 episodes on several Portuguese television shows and presented the Eurovision Song Contest before her US debut on NCSI. Although she enjoys the on-screen banter with her NCIS co-stars, her favorite aspect of her role in the show are the action scenes. She works alongside stunt coordinators to prepare for scenes, and is dedicated to training for stunts, and often does actual fight scenes herself. Ms. Ruah was born in Boston, but moved with her parents to Portugal when she was five. She credits her parents for their support of her decision to focus on an acting career at the aged of sixteen, and she studied performing arts in London and New York. Fluent in Portuguese, she also learned how to speak Italian for her first big screen role in the George Lucas produced, 2012 film ‘Red Tails’. Married with two children, Ms. Ruah supports a variety of charities and is ambassador for Shopping for Change, a non profit organization supporting female artisans through fair trade, by creating jobs and promoting financial autonomy. Click here to view Ms. Ruah’s IMDb page.